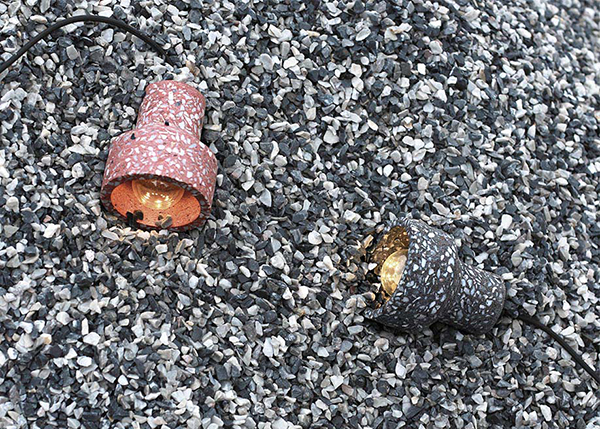 Reuse at its best, Bentu Design proves that a reclaimed ‘look’ is not all about worn patinas, rough edges or shabby chic. 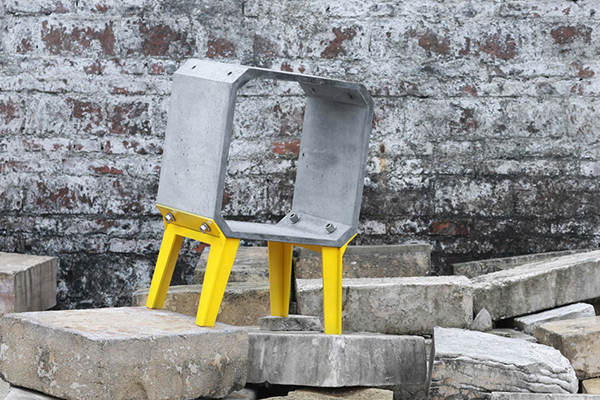 These products are beautifully clean cut and streamlined, despite being made from a mix of cement and recycled construction waste, something which accounts for 30-40% of total municipal waste worldwide. Above is the Zhi side table from their project Zhi and Kou, a pair of furnishings that look like the Chinese characters from which their names derive. The furnishings can be combined in many configurations, either with or without legs, to make bookcases, storage and seating. 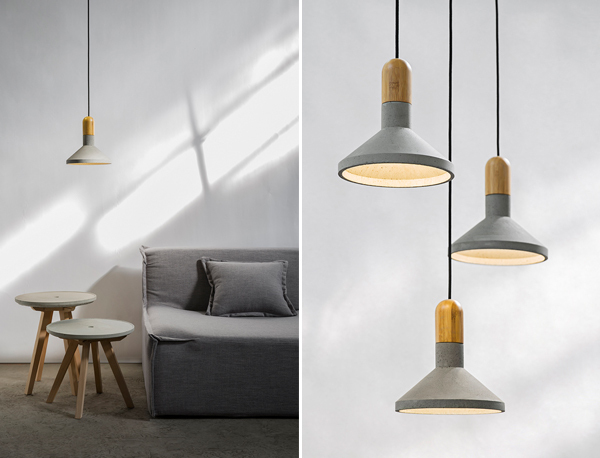 A beautiful pairing of cool cement with warm wood is demonstrated in the Shang pendant lamp. 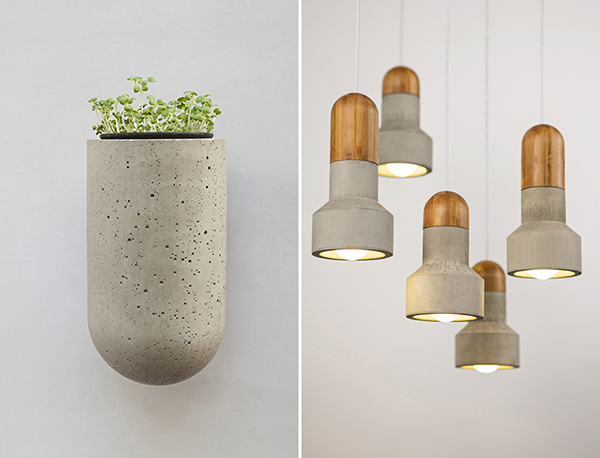 As with all Bentu’s products, the cement is mixed with recovered industrial detritus sourced from construction sites, metal and bamboo. Also pictured is the Bu stool and side table with beech legs. Bentu aim to create aesthetically pleasing, useful objects. 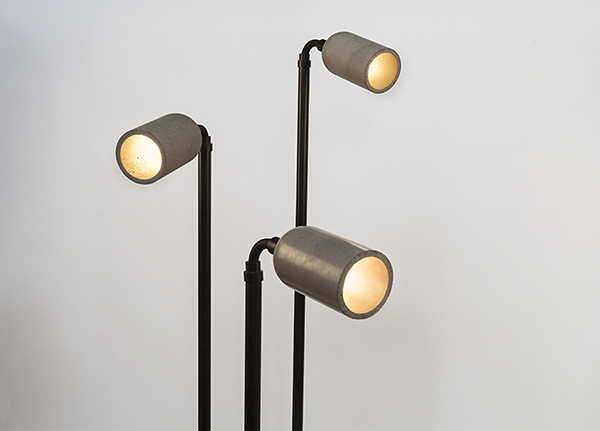 The elegant Tiao spotlight was one of their first designs from 2012 and is made with cement and recycled construction waste. Far from stark and clinical, the roundedness of the Bei flowerpot and Qie chandelier adds a comforting sense of warmth to Bentu’s signature cool grey coloured material. Bei hangs on the wall with a hook behind that comes in black, or primary colours for a playful touch. 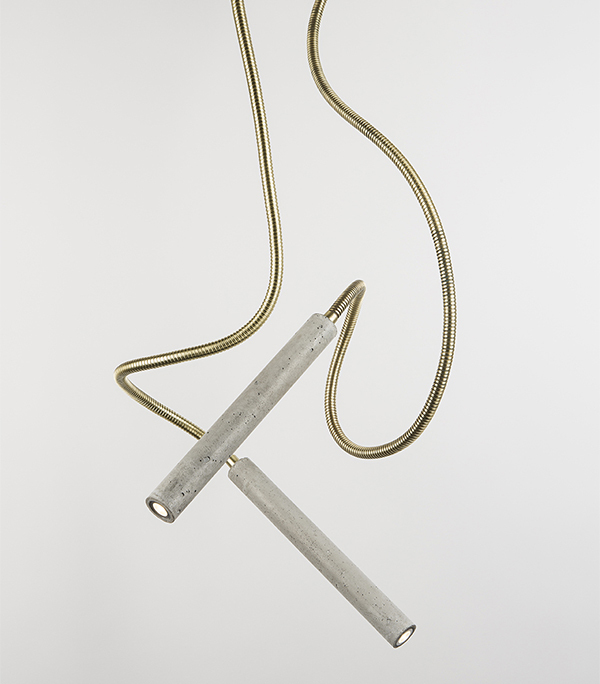 The Qie chandelier can be purchased from Such & Such for £155.